Pictures might be worth a thousand words but a 4 inch binder filled with ownership history, restoration documentation and receipts certainly helps. 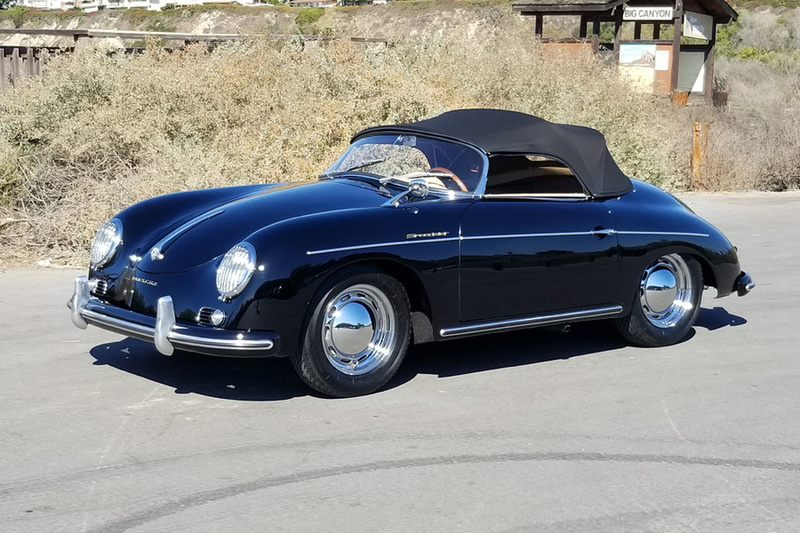 We recently acquired a nicely restored 1956 Porsche 356 A Speedster finished in Black. 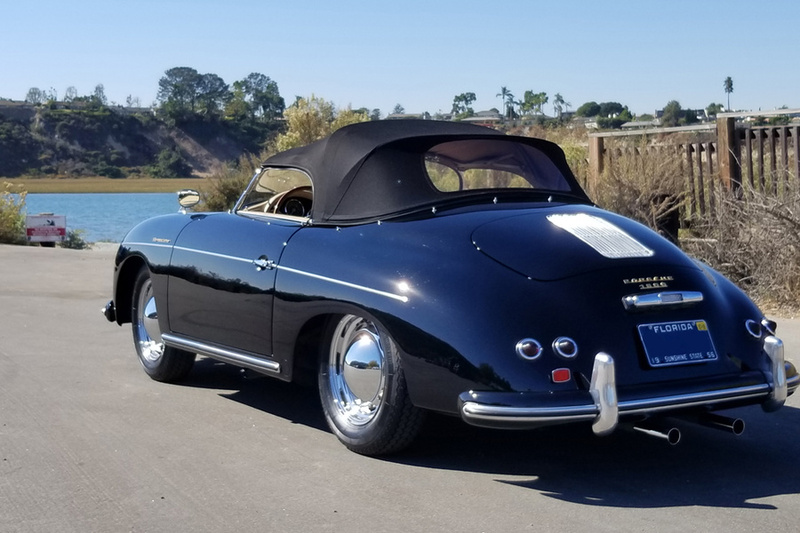 Originally imported by Max Hoffman and delivered to Brundage Motors in Jacksonville Florida (later renamed Brumos Porsche) which eventually became the Porsche distributorship for the Southeast region. It’s always great finding a car with a fascinating story attached to it, whether it be racing pedigree, an interesting owner or pure coincidence; in this case, it’s a story of right time and right place. 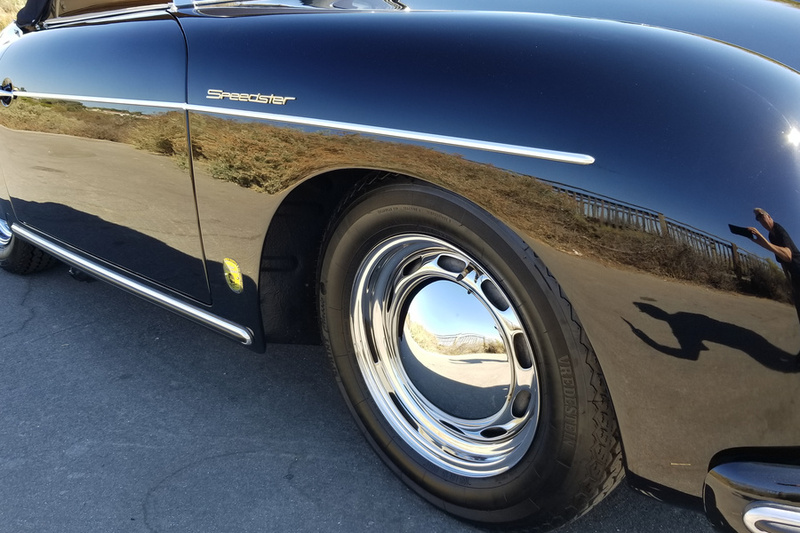 The original owner, Richard Anderson was looking for a black 56’ Speedster but could only find one in Polyantha Red. He ended up purchasing the red car from Brundage Motors in 1956. Not even a year into ownership he had the car repainted black to better suit his taste. The car has since then been black for the entirety of its life. The second owner, Daniel White bought the car sometime in the 1960’s and was photographed driving the black car across the finish line at the Daytona International Speedway (we have the photo!). The car changed hands a couple more times over the years when a gentleman name Vincent Hughes bought it, drove it for some years and sold it to Manuel Garcia. Manuel Garcia enjoyed the car for almost 15 years and sold it to the current owner, Michael Owen, an extremely involved Porsche enthusiast. At all times during ownership, the car remained in Florida. The current owner, Michael Owen has had an ever-developing stable of Porsches over the years which all started with a 1975 Porsche 911S he bought in 1978. 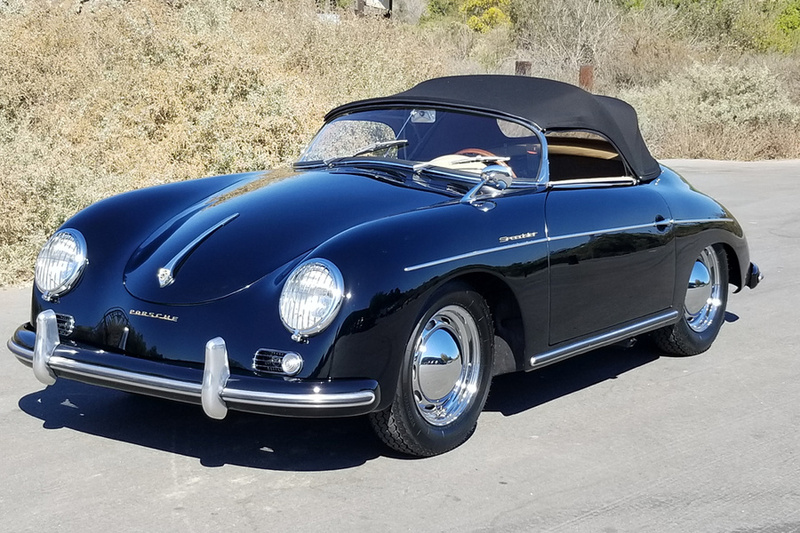 In 1989, while on a business trip he drove by a 1956 356 A Speedster in Black. He pulled over to inquire about the car but it was not for sale. Mike had always been struck by the car’s iconic shape with its raked windshield and toyed with the idea of owning one someday. This particular Speedster really struck a cord with Mike and he never forgot the car. Fast forward 13 years, while getting his 356 SC serviced at Troysport in Orlando, Mike spotted a car under a blanket in the back of the shop and right away knew it was a speedster. Upon further inspection it looked to be someone’s forgotten hot rod project, but luckily it was in decent shape with all original panels (floor pans had previously been replaced). 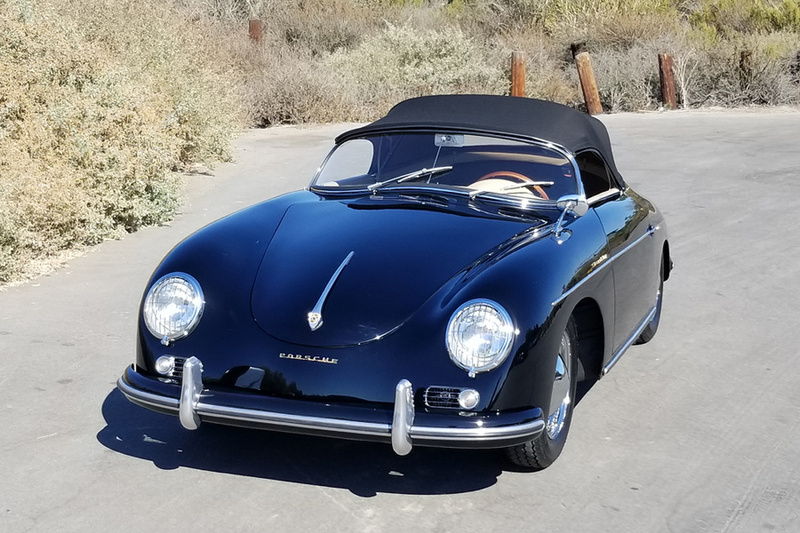 As it turns out, it was the same black Speedster that left such an impression on him 13 years prior and soon after he was able to purchase the car. If that’s not Porsche fate I’m not sure what is! 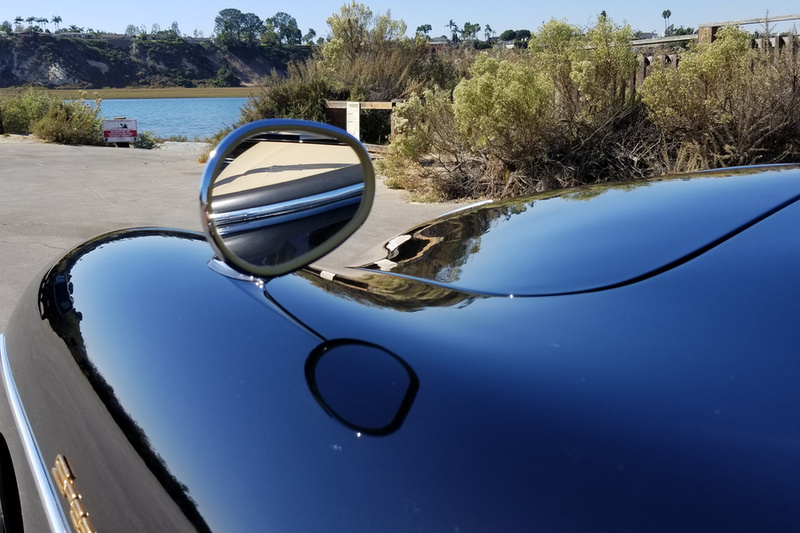 In 2004, a two year bare metal restoration was performed to bring the car back to original. From the extensive receipts and restoration documentation, almost 20k was spent on metal work and paint alone. 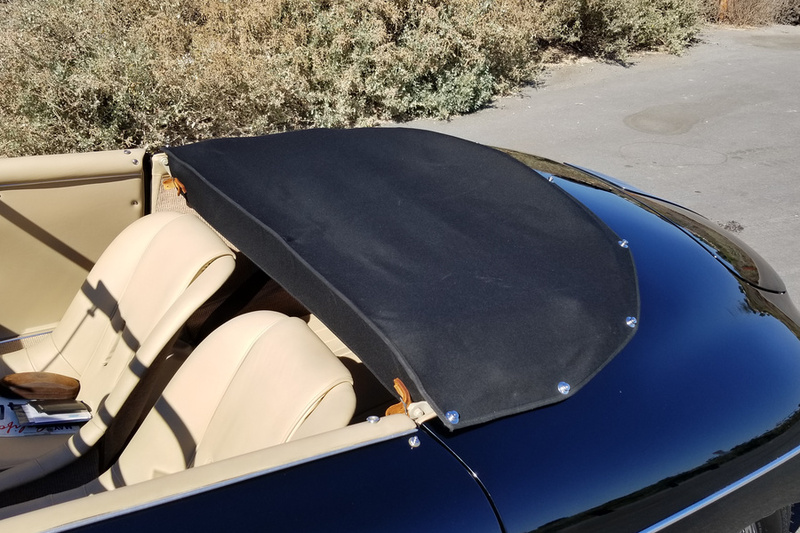 The car was completely gone through, panels realigned, rust repaired and the car was resprayed the “original” color, Black. 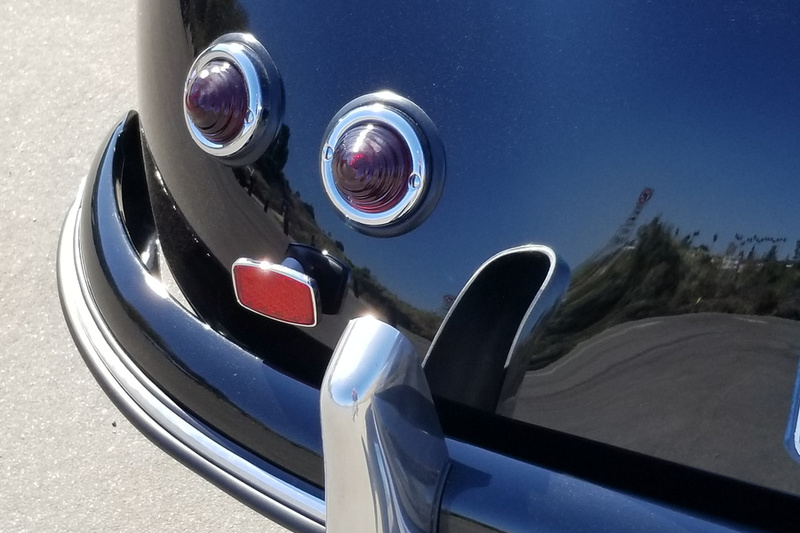 The quality of the paint is superb and shines beautifully in the sunlight. 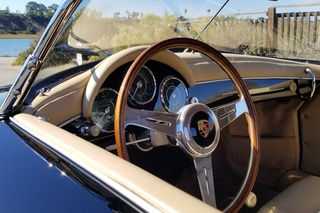 In 2008, the car was sent to a Porsche Specialist in Pennsylvania who took the car to the next level to make it competitive at Concours events. The engine (though non original, is very close to the original engine’s stamping - 62338 vs. 62623) was completely disassembled and rebuilt. 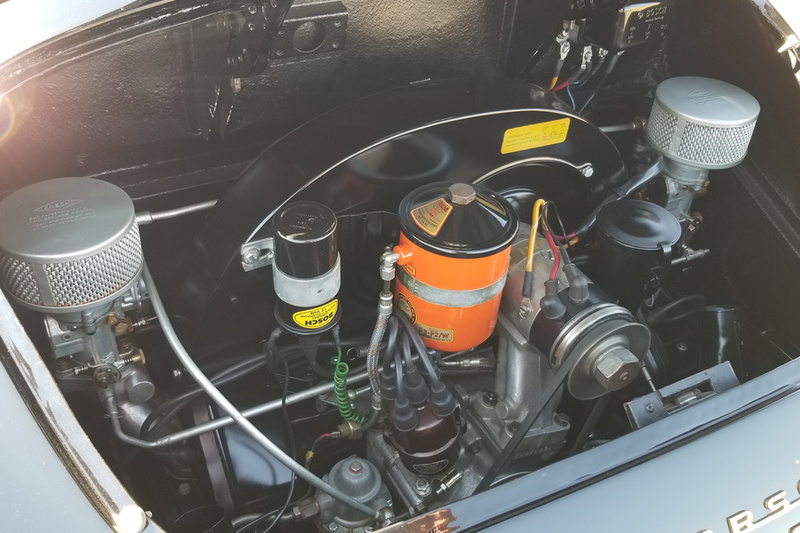 The complete list of the rebuild is detailed in the write up that comes with the car but here are a couple highlights; 83 mm JE pistons, 1600N crankshaft and cylinder heads, aluminum oil cooler, new fly wheel/clutch, install and hone new valves, painted engine tin etc. It’s the same story for the suspension; new Koni shocks, f/r wheel bearings, all new bushings, transaxle and front suspension conversion to early drums etc. The carburetors were disassembled, chemically cleaned, freshly plated and reassembled . A completely rebuilt wiring harness was installed and the car was converted to the much more reliable 12v system. 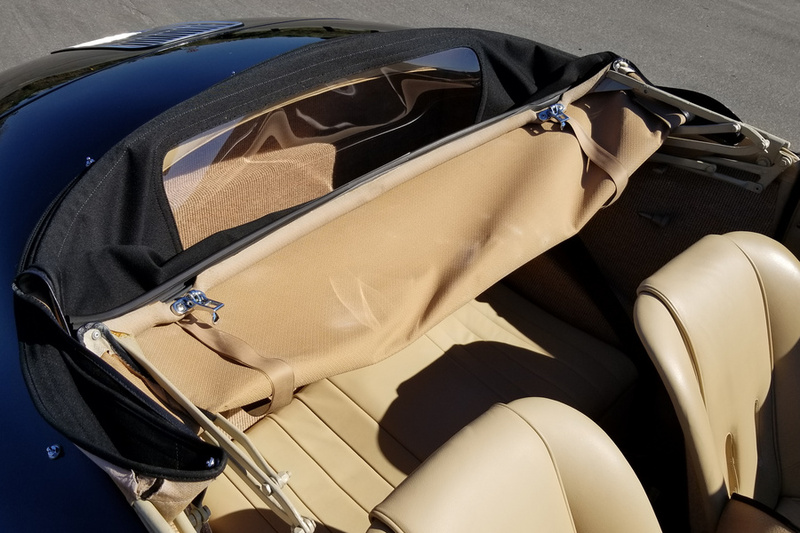 Mike opted to upgrade the interior with tan leather and beige carpet (both period correct) which compliments the black paint perfectly. All this hard work over the years culminated into making a very competitive, Concours ready Speedster. Unlike most collectors of this pedigree, Mike wasn’t putting all this work into a car just for it to be a garage queen, he wanted to drive it! 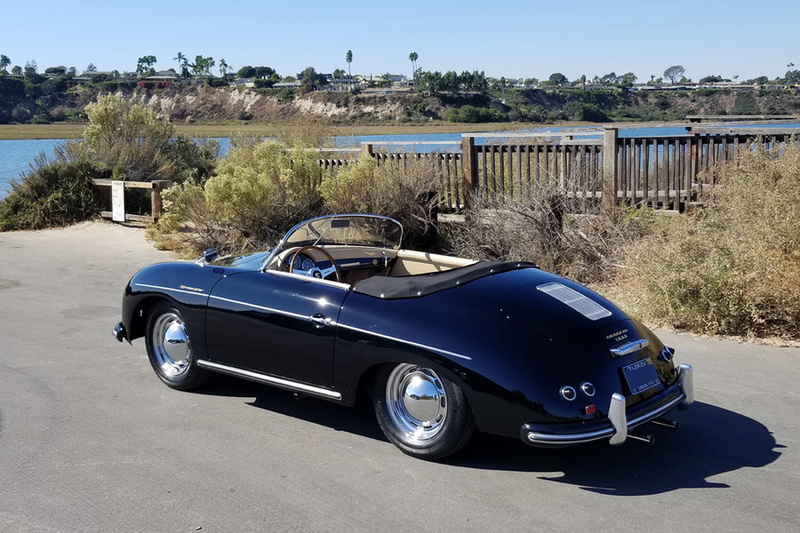 This is the nicest Speedster you will see driving on the road (all the others are tucked away in climate-controlled garages!). He is heavily involved with the local PCA and has entered and won countless Concours competitions. 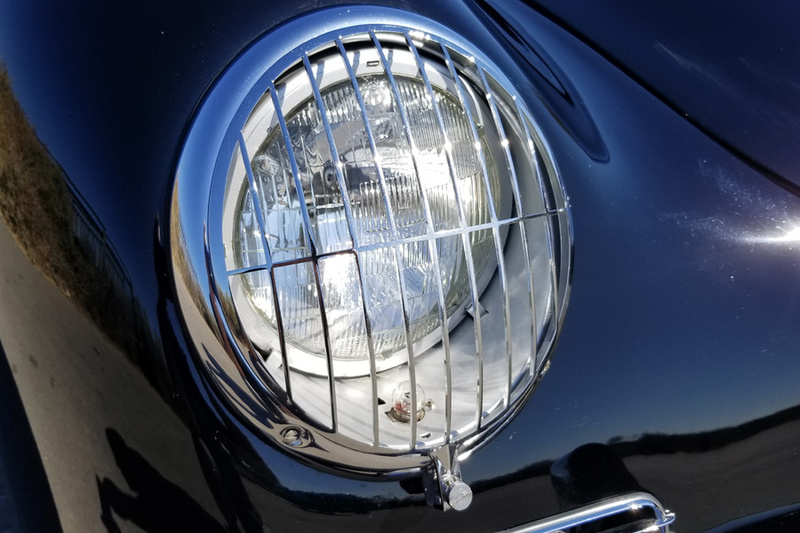 He has been part of the PCA and 356 Registry for 40 years and served as a Trustee for the Porsche 356 Owners Group in Florida (second largest in the nation). He also served as a judge for various PCA Concours events. In summary, the car has been shown 33 times, 11 of which were People’s Choice and 22 judged Concours. In total they received 14 First in Class awards and 3 Second Place awards as well as Best in Show 16 times. Mike was also personally contacted by Porsche to show his car at the Rennsport II Reunion in Daytona. Since the restoration he has put 31,000 miles on the odometer. This car is as original as possible and its history of awards proves how true to factory spec the restoration is. 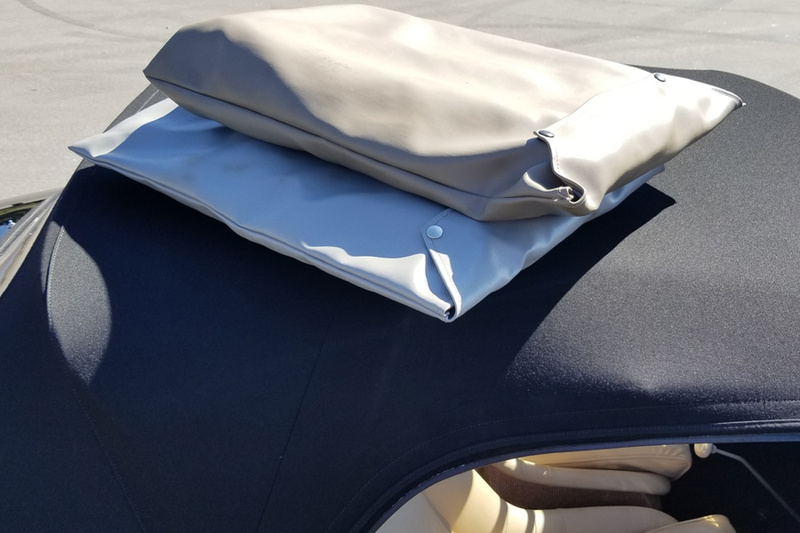 The owner shares the same passion we have for authenticity and has made sure everything on the car was restored by the right people to the correct factory spec, color, etc. 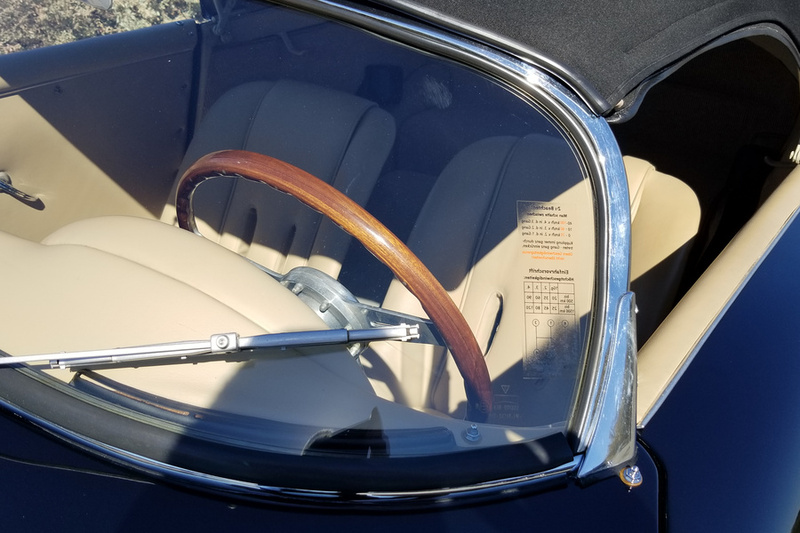 As with most Speedsters, options were sparse, the Certificate of Authenticity states the following; U.S. Speedometer and Sealed-Beam Headlights. 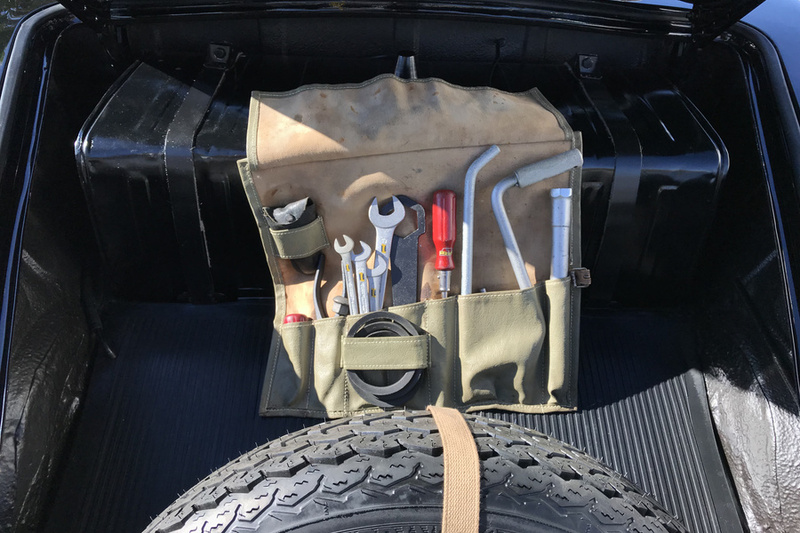 The car comes with the original factory issued tool bag with correct wrenches and very desirable Speedster specific owners manual. 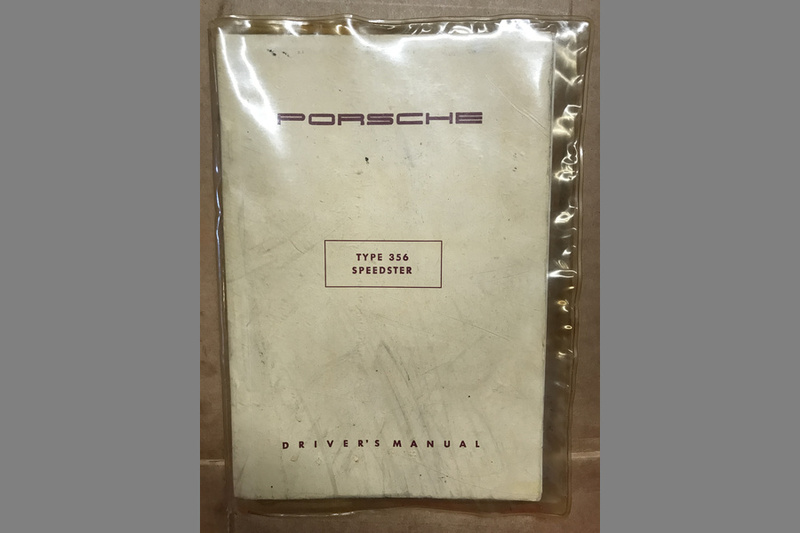 Porsche discontinued production of the early Speedster owners manual sometime in late 1956 and this is one of the last cars to have it. The screwdrivers were restored by Ray Wells. 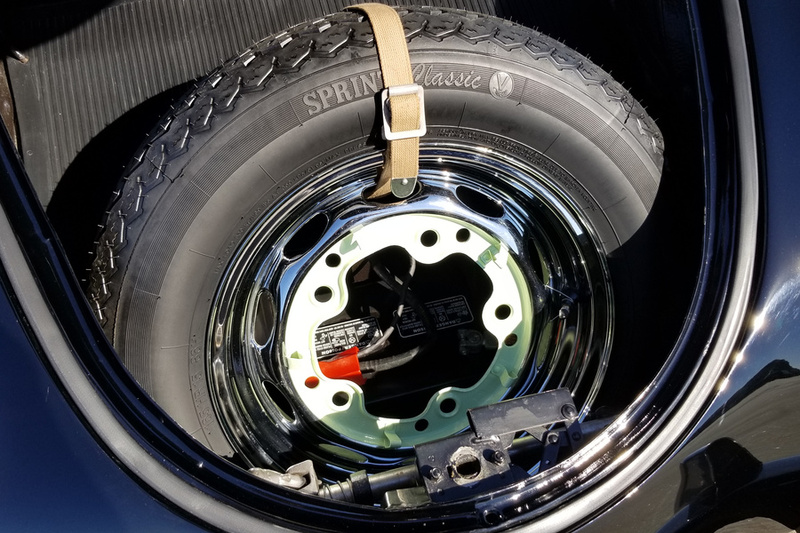 The spare tire is included with the extremely rare canvas strap and jack. 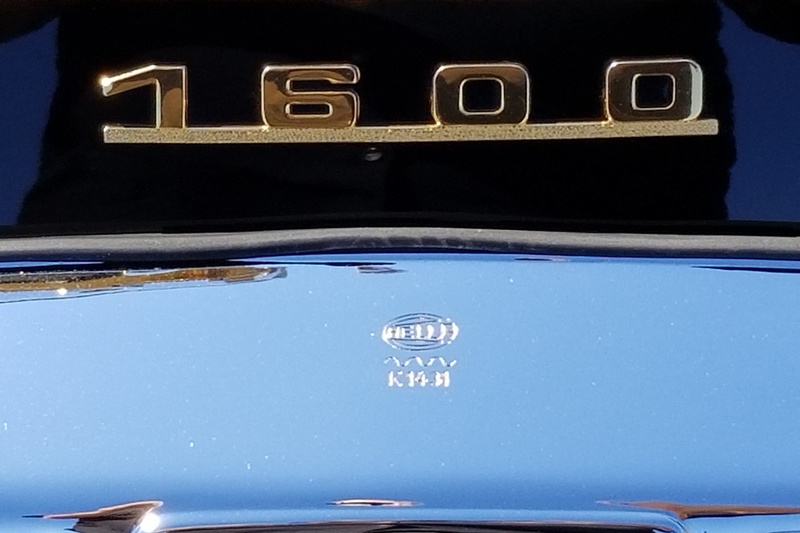 The car has been meticulously documented over the last 16 years of ownership. A 4-inch thick three ring binder with restoration pictures, receipts, invoices and all maintenance records is included. This is one of the most well documented cars we have come across and the owner is an extremely knowledgeable and passionate Porsche enthusiast and very active PCA member. To further accommodate our international clients we can provide world wide shipping at owner’s expense. We speak English, German, Dutch and French.